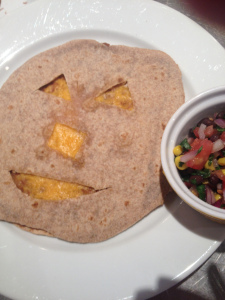 Jack O’ Lantern Quesadillas: (makes 4)A fun recipe for Halloween that is sure to put a smile on your kids’ faces. All you need are whole grain tortillas, beans and shredded cheddar; they bake in the oven for just 10 minutes. You can serve them with your favorite salsa but I provided a recipe for ‘Midnight Salsa’ for you to try. Enjoy! Preheat oven to 350 degrees. Place a tortilla on a cutting board. With the sharp tip of a paring knife, carve triangle shapes for eyes and a crescent shape for the mouth. Repeat with 3 more tortillas. Place the other four tortillas on a baking sheet, spread each with a 1/4 cup of beans. Sprinkle each with a 1/4 cup of cheese. Next, top each with the carved tortilla and place in oven for 10 minutes (until cheese is bubbly and browning begins). Serve with Midnight Salsa*. Place all ingredients into a small bowl. Toss well and chill for 20 minutes. 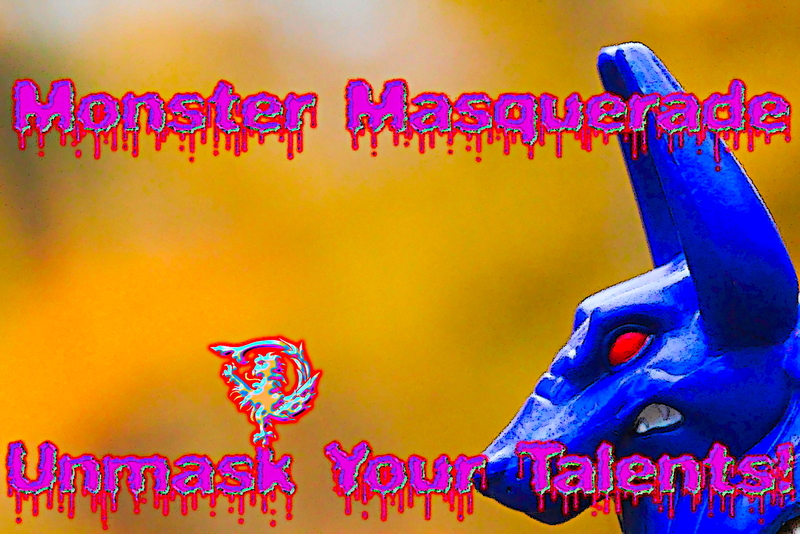 ← Monster Masquerade – Remember Lucifer? Great! Thanks. Are you finished with the house? I’ve sent you the salsa recipe. No not finish with the house yet. Did to much too fast. Only have the main kitchen to do for this year and next year the den in terra cotta. Only then will the house and garden be done. Yippee! It’s Ok get some rest. I don’t know Jack, either, but this recipe sounds great. Love salsa. Especially around midnight. You think he’s eating Jack the Quesadilla? Adorable – love his cheeks!! 😀 Thanks T!